The 74th edition of the ATP 250 clay-court event was a success. 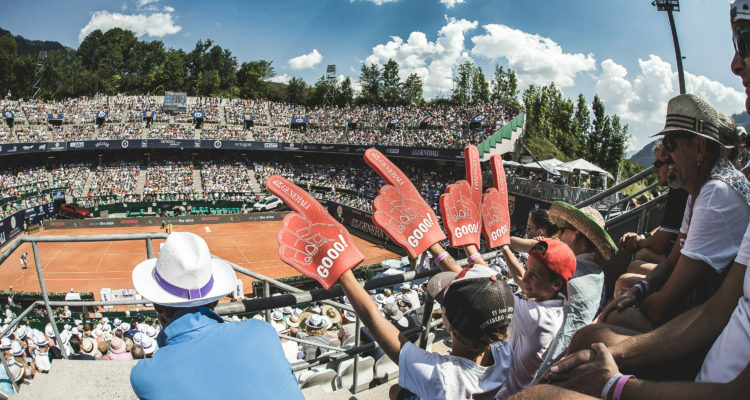 The 74th edition of the Generali Open Kitzbühel broke records: For the first time in the new era, the 50,000 mark was cracked by the spectators. Despite record temperatures, Centre Court was sold out four times in a row, the atmosphere one of the best on the tour. “Finally we have been able to crack the 50,000 mark. Wednesday was total madness. We’ve never had as many people as we’ve had that day,” said tournament director Alexander Antonitsch. From a sporting point of view, the incredible story of the week was written by Martin Klizan, who dominated the tournament: The experienced Slovakian almost fell in the opening round of the qualifying but celebrated his first tournament victory in two years in the end. This entry was posted in ATP 250 Kitzbühel, ATP Tour and tagged ATP World Tour, Generali Open, Kitzbühel.